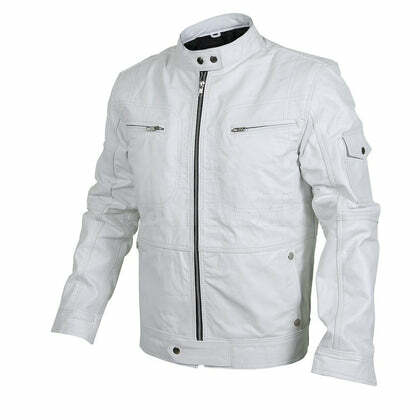 White leather jackets are a true fashion statement. They are stark yet subtle; edgy yet modest; and peculiar yet just as versatile. This unique and contrasting blend of features is what makes a white leather jacket a must-have item for every man. 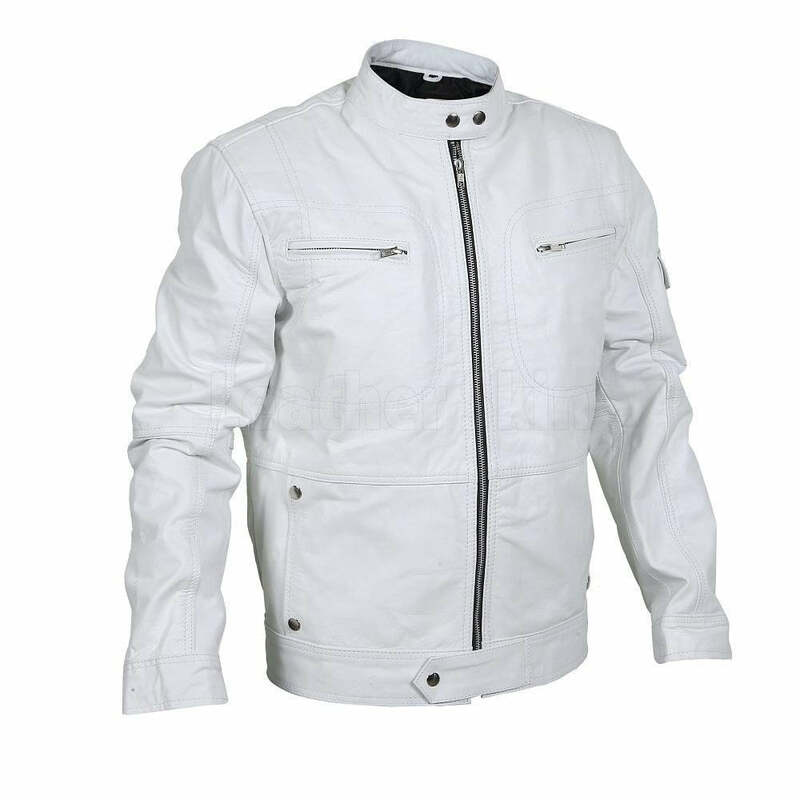 This statement white racer jacket comes with a chic snap button collar, sleeves with simple detailing and front zipper pockets and waist buttoned besom pockets. 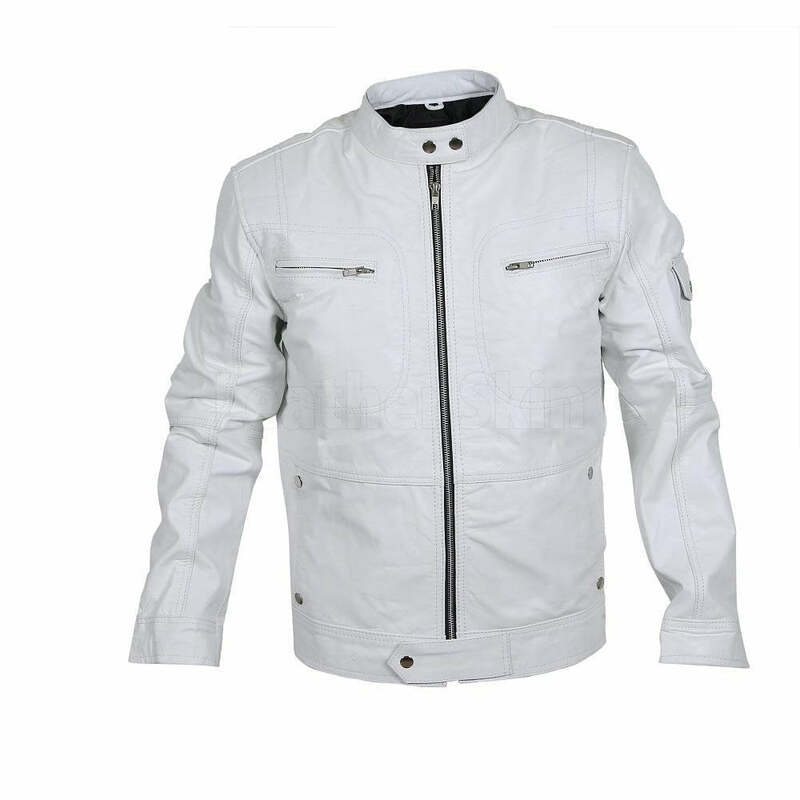 Reflecting a clean and polished outlook, this white racer number can be worn over anything from a tattered pair of jeans and a graphic tee to over a sophisticated all-black ensemble. 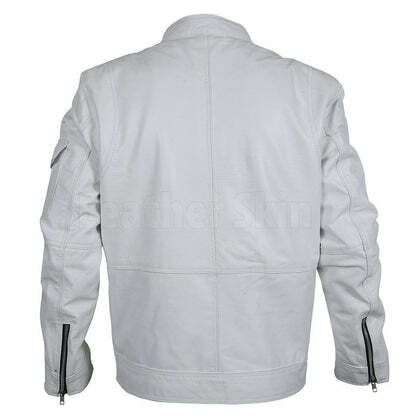 White racer jacket with snap tab button collar. 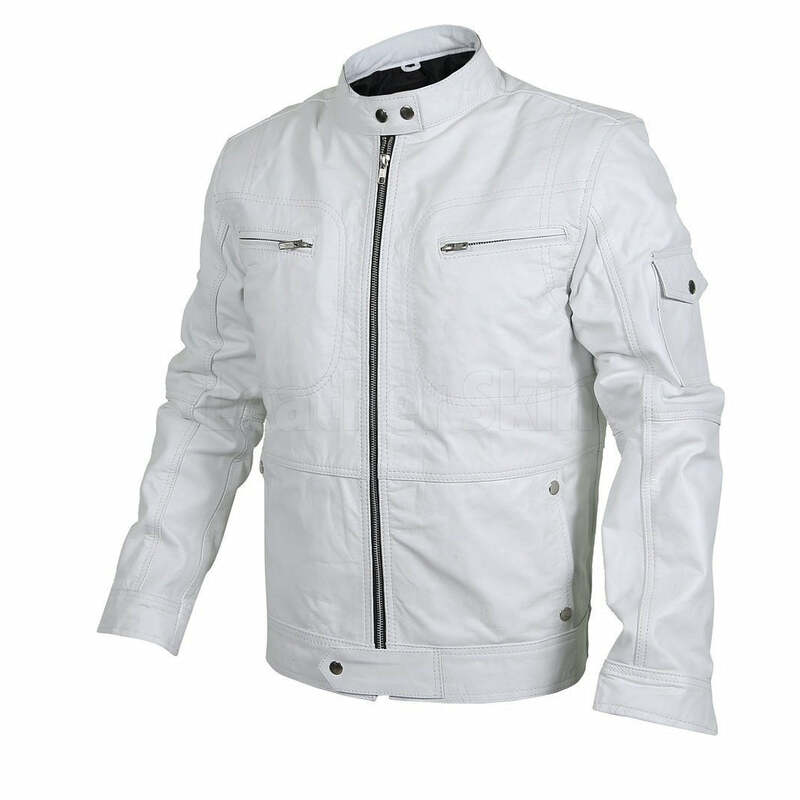 Front chest zipper pockets and waist buttoned besom pockets. Long sleeves with little detailing.